Is Brigham train depot haunted? 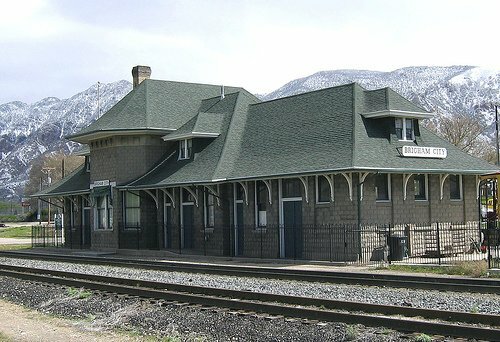 The Brigham train depot is located at 633 West Forest in Brigham City. The depot was constructed in 1906 and was owned by the Union Pacific Railroad. The building is owned today by the county and serves as a historical building. A very nice place to look around even if not hunting for ghosts. No one knows the origin of the paranormal activity at this place, but it is believed that it's due to a worker who died while constructing the station. This is difficult at credible records are hard to come by. But one thing is for sure and it's that the station is definitely haunted. Workers at the station often report a "presence", as if someone were watching them or close to them. The spirit here seems to mainly make itself known by the feeling of its presence, but shadowy figures have also been seen, though not as common. The Utah ghost organization has visited this place and recorded EVP and ORBS, declaring it positively haunted.